Sunn O))) are, much like the universe itself, finite but boundless. There are built-in limitations to the approach that Stephen O’Malley and Greg Anderson take to their drone-doom compositions. They very rarely employ any type of percussion, and their lengthy, seemingly open-ended pieces almost never feature a proper verse or chorus, instead floating aimlessly along the vibrations created by their rumbling Marshall stacks and ultra-low-tuned guitars. But there’s a freedom within those self-imposed limitations. There are a lot of things that Sunn O))) could never be—pop music, for one—but when their sonic design is drafted so loosely, the duo could embark on just about any sort of musical exploration without disturbing the integrity of what their music really is. As such, they’re a highly collaborative bunch, having worked with the likes of Boris, Nurse With Wound, Ulver and Scott Walker. The latter two have proven, even greater than many of the band’s past releases, that Sunn O))) is capable of being not just transcendent, but also of harboring some interesting surprises. There aren’t necessarily that many surprises on Kannon, the band’s eighth album, or 12th if you count their collaborative releases. From the get-go, it fits comfortably within the boundaries of what you’d expect from a Sunn O))) album, namely lots of slow-moving, freely flowing distorted guitar drones that move like steam and smoke through a claustrophobic, damp underground grotto. The first minute of “Kannon 1″ is about as Sunn O))) as Sunn O))) gets, and the next 12 are more or less an extension of that initial, slowly unfolding drone. There are subtleties, variations, slight excursions into atmospheric realms that are detectable only through careful attention and meditation. But it’s not like you listen to Sunn O))) for the sick riffs. You might not always know what you’re getting with this band, but their decade-plus travelogue should give a fairly strong indication of where Anderson and O’Malley will take you. If Kannon doesn’t tread much new ground, however, it’s at least a strong and thoroughly beautiful representation of Sunn O))) at their most pure. It’s their simplest album in a long time, which gives it the feel of a dark ambient album rather than a more explicit foray into metal, as they did on Black One, or into dynamic art-rock compositions, as they did on their Scott Walker collaboration, Soused. Each track on Kannon is titled “Kannon” (1, 2 and 3, just to clear up any confusion), and at 33 minutes long, it’s also one of the shortest albums in their catalog. Come to think of it, there actually are some pretty fascinating surprises the deeper you go into the record, be it the presence of a conch chorus or the shoegaze-like tremolo swoosh in “Kannon 3,” or the welcome return of Mayhem vocalist and frequent collaborator Attila Csihar. You have to give all of your attention to these tracks before their character becomes fully defined, but even if subtly, they take on interesting shapes. 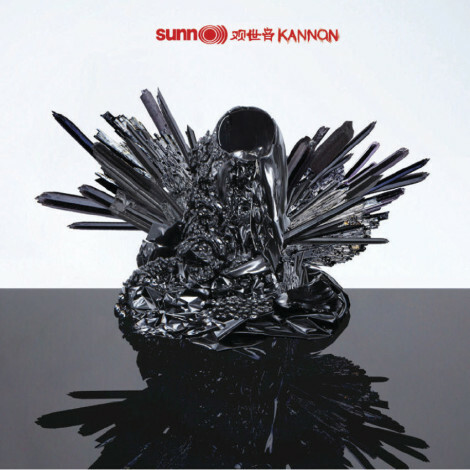 The climax level remains low on Kannon, and considering the peaks that Sunn O))) have reached on past levels, it ends up being their most conventional listening experience in some time, though far from the least rewarding. It’s a patient, almost spiritual experience, and though there’s no guarantee you’ll come out of it a more grounded or enlightened person, it’ll at least fill a 33-minute void with breathtaking sound.